Are you ready? We are very excited to announce this Weekend Event. The loot in Battle Royale is going to be changed to more powerful weapons and gear. You will have the chance to purchase a new limited Skinbox during this event. Rare skins have a higher chance in them. There is also a new skin release inside that box called Heavy Armor Fairy Wings. 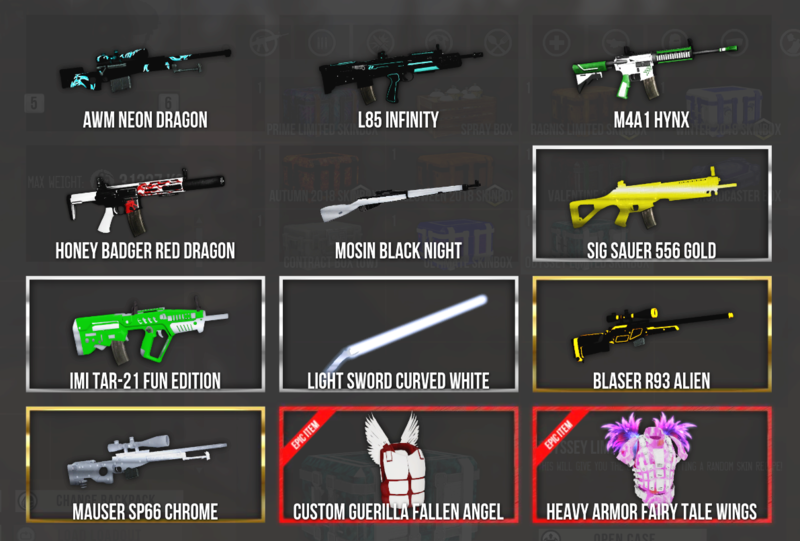 Below you can see a screenshot of the content inside that Skinbox. 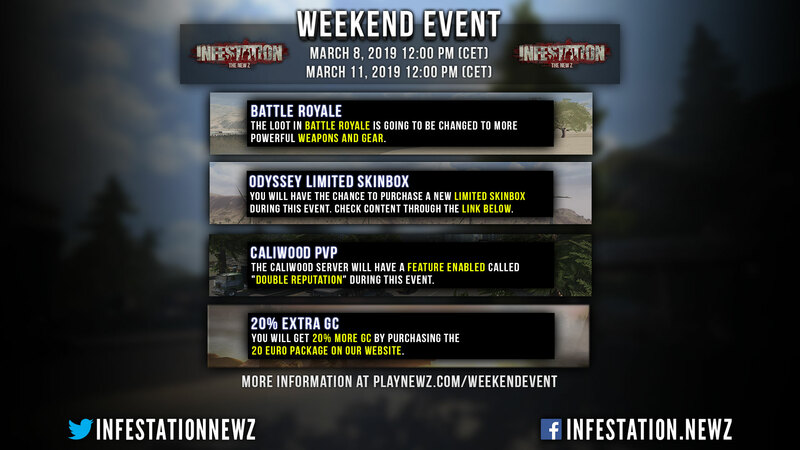 The Caliwood server will have a feature enabled called "Double Reputation" during this event. Keep in mind, boosting your friends will cause a wipe of your reputation! You will get 20% more GC by purchasing the 20 euro package on our website. 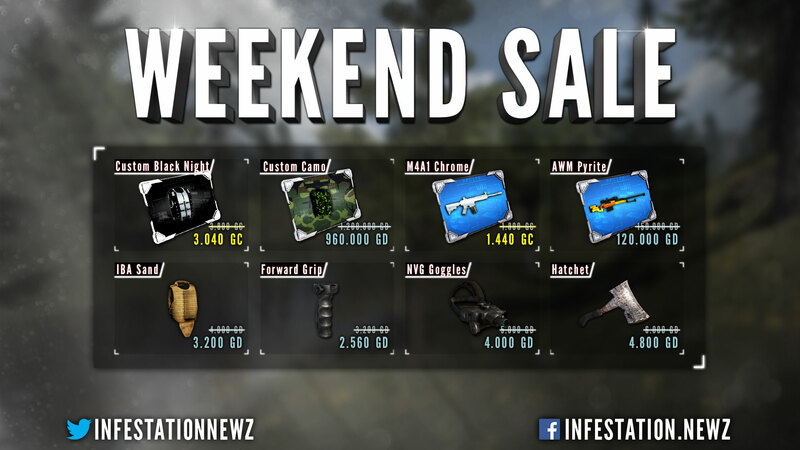 Special weekend event sale is also active during this time. Check the picture below for more information. W﻿e would also like to remind players if they experience any issues regarding the game to please contact ﻿us﻿﻿. The entire staff team wishes everyone a great weekend! And if you dont know now you know ..